I could use sprinkles on every dessert. They are pretty and tasty! It's even better if the rest of the dessert is healthy. 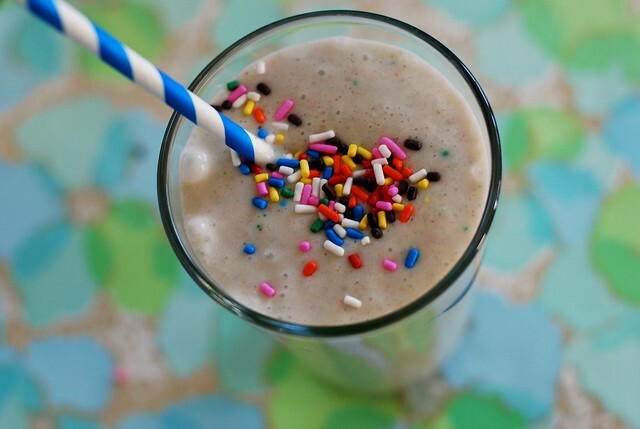 I came across this smoothie recipe from *Chocolate Covered Katie and couldn't wait to try it. I have to admit it didn't totally taste like cake batter but it was delicious! I'm going to continue to play with the recipe to perfect it. Next time I plan to use coconut milk, a very ripe frozen banana (this one was not frozen and ripe enough) and maybe xantham gum to make it thicker and more like ice cream. *Please head to Katie's website to get the fabulous recipe. Thanks! Hehe, I actually have all of these ingredients in my kitchen (ok, not milk, but I have rice milk). Maybe this is how I should be starting my morning. wow...i have a blender so going to try it :))) YUM! oh my! this looks tasty! would you believe i dont even own a blender?? i know, its nuts. going to have to get one to make this tasty treat & other yummy smoothies! thanks for sharing your recipe! Whoa, this look tasty! I'm making it this week for sure! I just want to say thanks for posting these smoothie recipes! Thanks to you, I am having a green smoothie several times a week and loving it! Cute!! We have a smoothie post today too! I love the colorful sprinkles. You said today's post would have sprinkles but I would have NEVER imagined this. Fantastic and so whimsical! Yum!! 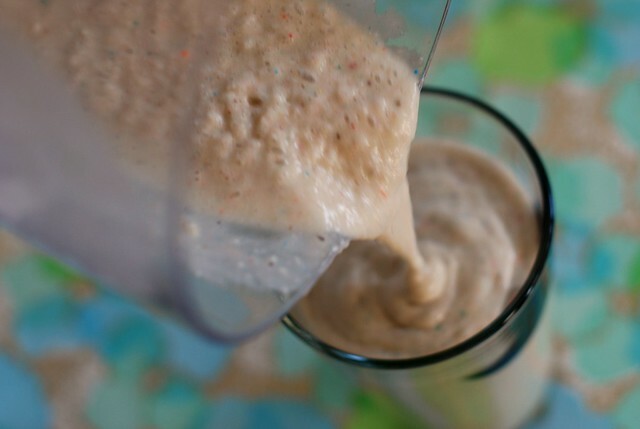 I'm always looking for healthy smoothie recipes - definitely going to try this one! the pink sprinkles make it perfect! This looks really good, I will have to try it! My favorite smoothie is frozen banana, coconut milk, peanut butter, & Nutella. Not the healthiest ever, but it is SOOO good!! Okay majorly yum! Must try this, this summer! What an adorable and delicious smoothie!! Wow, awesome recipe! 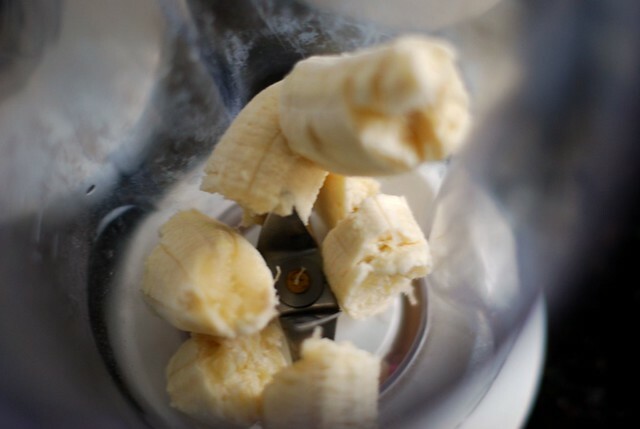 Banana really makes it in smoothies. Aww, sprinkles make everything better! My favorite "smoothie" is actually a protein shake. I eat it as my "post-workout snack:" One scoop French Vanilla Designer Whey protein powder, one tablespoon of peanut butter, one ripe banana, a generous splash of milk, a few ice cubes. Blend and enjoy. It tastes like a milkshake and is GOOD FOR YOU. xo. This is absolutely brilliant! I love cake batter and it's even better that this is good for you. Also, I emailed you. Let me know if you didn't get it, because my emails sometimes go to spam! You had me at "cake batter"...yum! This looks delicious! Definitely will have to try this! 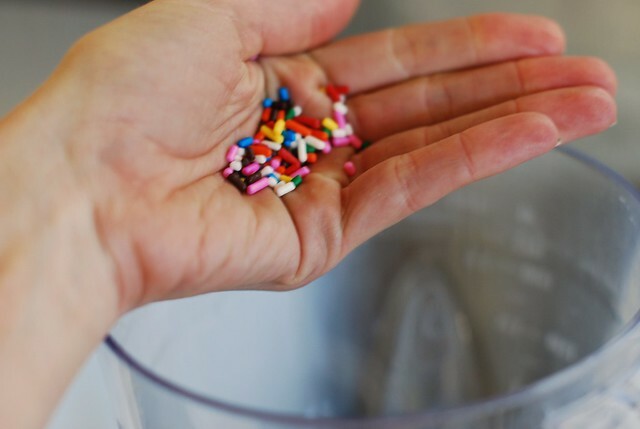 I love everything rainbow sprinkles! If it even says healthy and cake batter in the name, I'm ALL for it !! Yum Yum!! What an adorable idea! I love it! Girl you truly do find any way to add some sparkle to life!! Such an inspiration!! Thank you so much for posting this recipe! 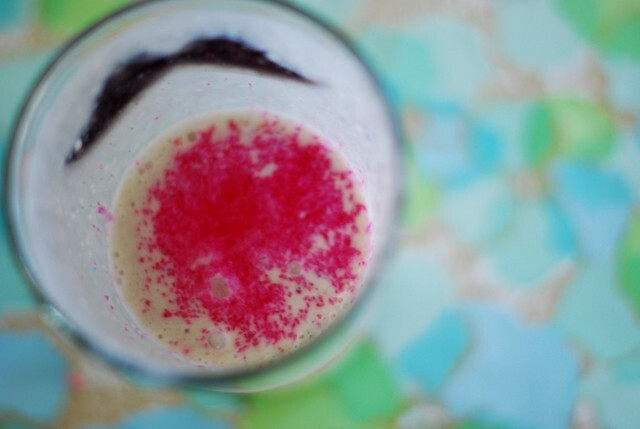 I think you mentioned this smoothie before, either in a previous post or on Twitter or Tumblr, and I've been curious about it ever since. I can't wait to try it. Going ot make this over the weekend! Sprinkles just make anything special! it's been a while since i've commented but i always check out your latest posts! & i think i missed this one when i came to see if you blogged today after yesterdays blogger clean up or whatever they were doing to the site, i have to try this i want to eat healthy and loose some pounds this summmer, im kinda starting late already because June is just around the cornor, cant wait to try this! looks so yummy, i'm going to try it!! i'm a huge fan of yours. i'd love for you to check out my Etsy site! i have great pieces for summer.